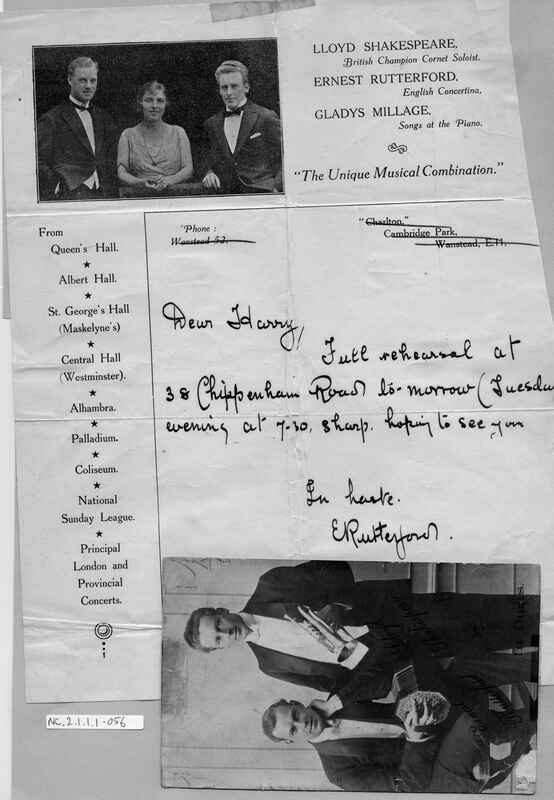 Full Description: A undated letter to Harry Minting from Ernest Rutterford, co-leader of the "Shakespeare-Rutterford Rhythmonic Combination" inviting him to "a full rehearsal at 38 Chippenham Road tomorrow (Tuesday) evening at 7.30, sharp". 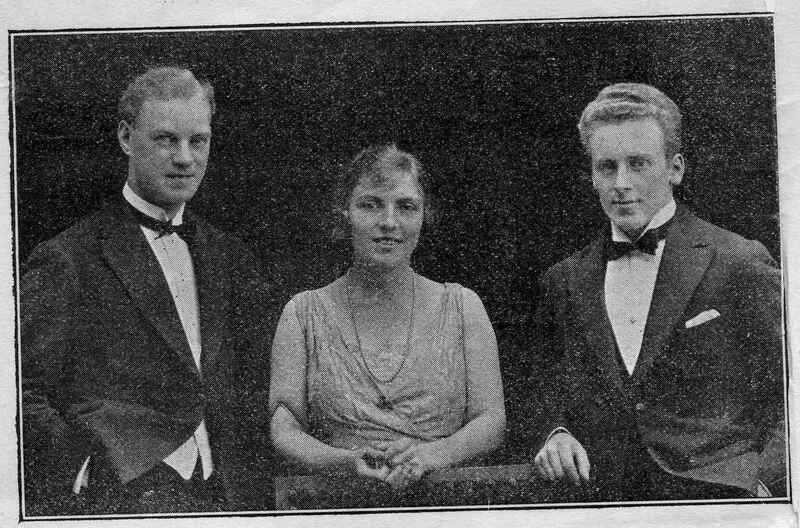 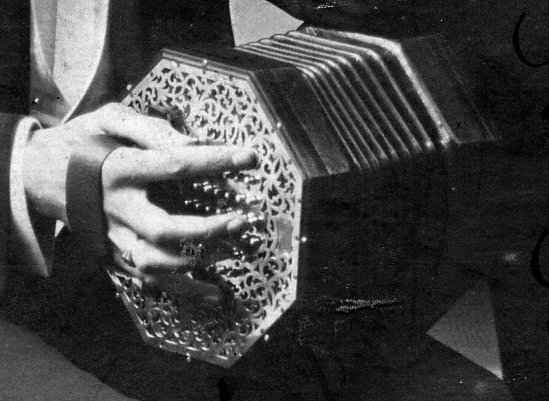 The letter's head is an image of the Shakespeare - Rutterford - Millage trio "The Unique Musical Combination", and features their image. 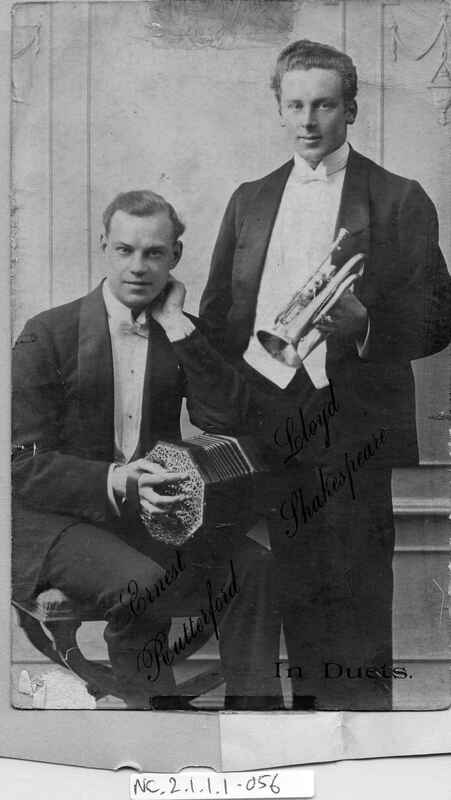 A further postcard image of Ernest Rutterford (holding a Duet Aeola) and Lloyd Shakespeare is glued to the letter, and embossed "In Duets".